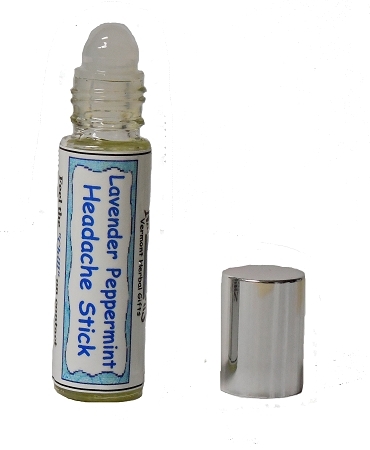 Formulated with therapeutic grade essential oils to help alleviate the pain and pressure of tension headaches. Roll in a circular motion across temples, on the forehead, base of your neck, behind your ears, on your shoulder blades.....wherever your tension seems to be centered. You should start feeling relief in 5-10 minutes or even immediately. 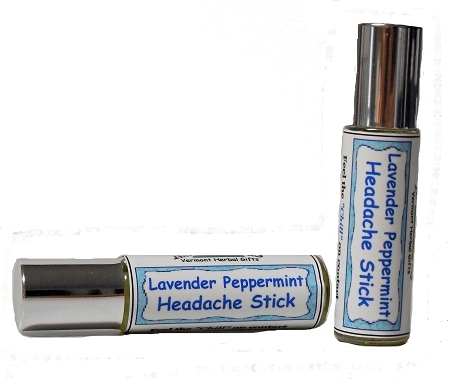 Convenient glass roller on bottle to carry in your car, purse or briefcase for easy no mess application. your physician before using any product. 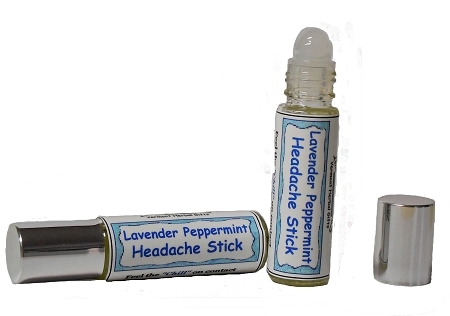 My friends and I swear by the Lavender Peppermint headache Stick. It works for us and lasts a long time.